What to Expect from a Sun City Shadow Hills Home. 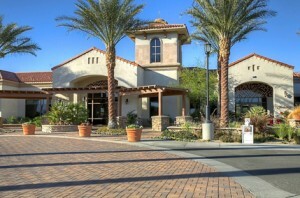 Sun City Shadow Hills (SCSH), Indio is one of Southern California’s premier gated Active Adult communities. Located two miles southeast of Sun City Palm Desert this newer Del Webb development has close to 3,000 homes in 3 phases. This Shadow Hills development started construction in 2003 and the final 3rd phase was finished in 2016. Sun City Shadow Hills is currently 100% completed and to purchase a home in this Master Planned community buyers will need to find resales from current homeowners within the development. These resale homes are often upgraded by past owners which may result in changes to floor plans or build materials. Resales of homes in Sun City Shadow typically range from the low $200,000 to over $600,000 with exceptions for highly upgraded or expanded homes. When people purchase a second home in Sun City Shadow Hills they can expect superior build quality associated with a Del Webb developments. Once a buyer lives in Sun City Shadow Hills they will have access to all the amenities of the development. Access is granted through a resident card which is registered with the Homeowners Association. Residents will need to register any guests, vendors (contractors) and vehicles with the HOA for security and access to the main gate. Once registered residents and guests are free to take advantage the plethora of amenities offered by this world class development. A full list and map of all the amenities are listed under the “Sun City Shadow Hills Amenities” section of this guide. Sun City Shadow Hills is akin to a small city within a city, employing private security to protect residents, landscaping staff and a team of administrative staff that ensure the smooth operations of the development. 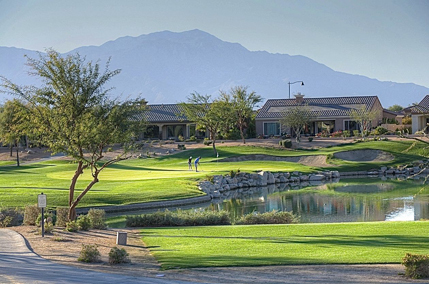 For buyers thinking of moving to the Coachella Valley, Sun City Shadow Hills offers a superior option for a second home, investment property or permanent home within the desert cities. 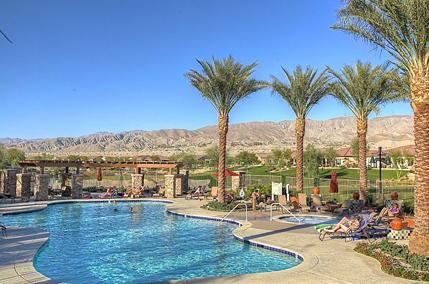 Residents of Shadow Hills enjoy extensive amenities and active lifestyle in a high quality 55+ community in the Coachella Valley. 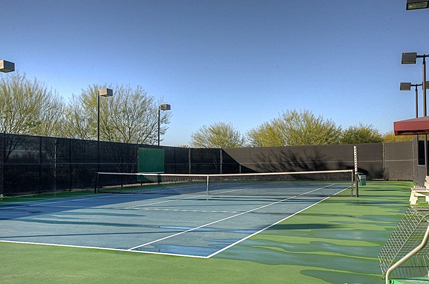 There are amenities for all lifestyles including golf, tennis, paddle tennis, bocce, fitness centers, several pools and more. 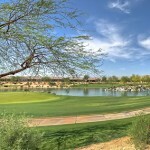 People living in a Sun City Shadow Hills know that social element of a Del Webb community is what makes them so popular. At the two clubhouses residents have access to the vast variety of social events, clubs and amenities. Life at Sun City Shadow Hills is a very special community with the wide variety of social clubs and events offered throughout the year. Travel club, art club, golf clubs, hiking and cycling club, book club, photography club and wine group are just a few of over 60 social clubs hosted within Sun City Shadow Hills. Registration for these clubs are available online and within the community. Palm Springs and the Coachella Valley is world-renowned a a golf mecca. 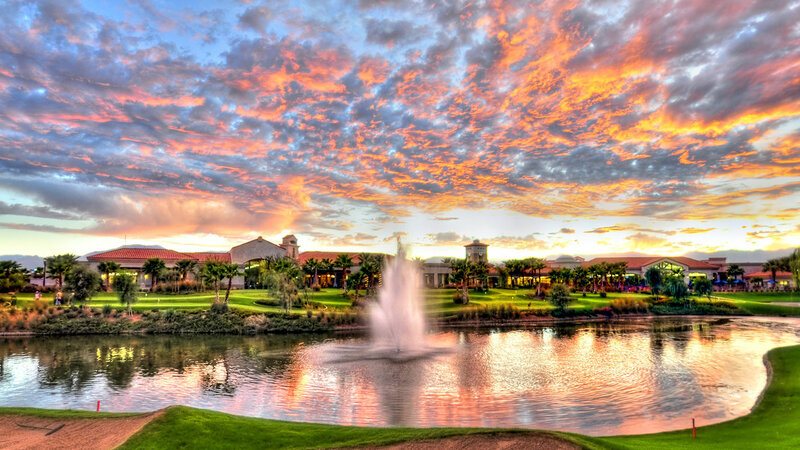 This golf centered lifestyle extends to the lifestyle of Sun City Shadow Hills with a 18 hole designed by Lee Schmidt and Brian Curley and the newer par 3 course. Weekend warriors and scratch golfers alike will will find these courses offer engaging rounds of golf and many opportunities to hone their game. These courses add to the beauty and tranquility of Sun City Shadow Hills and create vistas that are enjoyed by both golfers and non-golfers. The lifestyle at Sun City Shadow Hills extends to non-human friends as well. Dog lovers enjoy taking their bundles of joy to the 2 dog parks offered in this pet-friendly community. The prime location of this community offers residents access to an abundance of new retail and restaurants outside the gates of the community. Indio and the entire Coachella Valley (Desert Cities) offers a lifestyle including world class venues, festivals, street fairs, fine dining and entertainment. In Indio and just minutes from Sun City Shadow Hills you will find both the Fantasy Springs Casino, and Spotlight 29 Casino. These venues hold weekly entertainment from quality acts from world class singers & songwriters to Hollywood comedy acts. The Coachella Valley also support fashion shows and shopping at El Paseo in Palm Desert featuring top name brands and unique local vendors. If you are a foodie and the Desert Cities host hundreds of restaurants with all types of food from fair for a more refined palate to great old fashioned hamburger. There are several street fairs and swap meets throughout the Desert including the famous Villagefest in Palm Springs or the College of the Desert Street Fair. 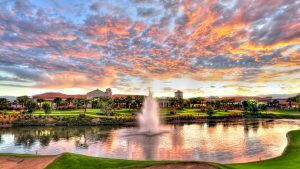 There is no doubt that residents of Sun City Shadow Hills lifestyle is packed with a multitude of things to do within and outside this wonderful community. Sun City Shadow Hills homeowners enjoy exciting amenities with over 49,000 square feet of indoor facilities and a huge selection of outdoor activities. The two clubhouses are at the core of the active lifestyle found at Sun City Shadow Hills. These top-tier clubhouses are both the social and fitness nerve-center of the community. With over 35,000 sq. ft. of indoor space Montecito clubhouse is outfitted with, an art studio, the latest strength and cardiovascular equipment, aerobics, a dance studio, a bistro, an indoor lap pool, a ballroom, billiards hall, library, meeting rooms and a card / games room. The amenities offered a Montecito Clubhouse continue into the outdoors. 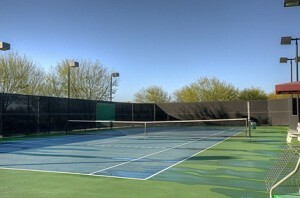 Offering 4 tennis courts (with lights), an outdoor pool, 5 bocce courts, 2 shuffleboard courts and a amphitheater. Located in Phase 3, the Santa Rosa clubhouse is measures approximately 14,000 square feet adding more fitness and amenities to the community. This second clubhouse houses another fitness center with an indoor walking track, a coffee shop (Santa Rosa Cafe), a card / games room and meeting rooms to support the communities clubs. 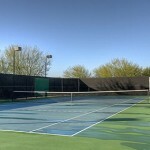 Just outside the clubhouse residents enjoy 2 pickleball courts, a basketball court, a shuffleboard court and an outdoor pool and patio. Shadows restaurant is located at the perimeter of the community adjacent to the Golf Club. Shadows offers beautiful vistas, great food and weekly entertainment. 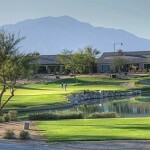 As the largest of the amenities offered golf in Sun City Shadow Hills is second to none. The Schmidt-Curley, Inc. Designed Course, offers variety and residents will find one championship course and one par-3 course. At 18-hole golf course residents can play a great round of golf at their leisure. Sun City Shadow Hills offers a wide array of golf events and activities from fun and relaxed to competitive with men and women’s clubs. If you want to work on your short game, community also features a 18 hole putting course. There is a wide variety of energy efficient homes varying in size and price. Sun City Shadow Hills has private and golf course lots and lots with fabulous views of the golf course, surrounding mountains, and landscape. The monthly homeowners association fee of $255.00 covers maintenance of the common grounds and amenities and provides 24/7 security. Consisting of single-level single family homes, there are over thirty floor plans within the gates of Sun City Shadow Hills that provide buyers an option for every style and price. Homes range in size from about 1,200 up to 3,000 square feet of living space. The floor plans for Sun City Shadow Hills homes are one to three bedrooms, two to three-and-a-half bathrooms and two to two-and-a-half car garages. Some floor plans include a den that may double or be converted to an extra bedroom and plans may even include a garage to store a golf cart. The finishings and upgrades of the home vary and may include granite countertops, higher ceilings, bay windows, fireplaces or covered patios. Often homeowners upgrade the finishings or expand their homes based on their needs resulting in a wider range of choice for styles and layouts for homes within the community. *The accuracy of all information, regardless of source, including but not limited to square footages, community information and lot sizes, is deemed reliable but is not guaranteed accurate by the MLS or The Jelmberg Team. This site and page is not the official homeowner’s association for SCSH. Each office is independently owned an operated. The Jelmberg Team are members of the National Association of Realtors (NAR), the California Association of Realtors (CAR) and The California Desert Association of Realtors (CDAR).